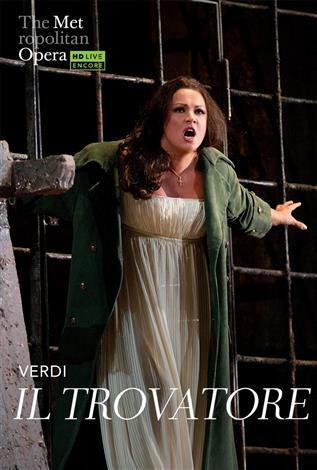 Soprano Anna Netrebko’s dramatic and vocal skills are on full display as Leonora, the Verdi heroine who sacrifices her life for the love of the title troubadour. Tenor Yonghoon Lee sings the ill-fated Manrico, baritone Dmitri Hvorostovsky is his rival, and mezzo-soprano Dolora Zajick is the mysterious gypsy with a troubled past. Marco Armiliato conducts Sir David McVicar’s gritty, Goya-inspired production. This production was originally broadcast to cinemas in 2015.